In Stock – Ships Today! Popular Digestive Advantage® is a dietary supplement developed to help you maintain a healthy, balanced digestive system and support your body’s immune system. Each pack holds 30 capsules which contain (1) probiotic strain at a strength of 2 billion viable cells. The product does contain soy and should be stored in a cool, dry place. 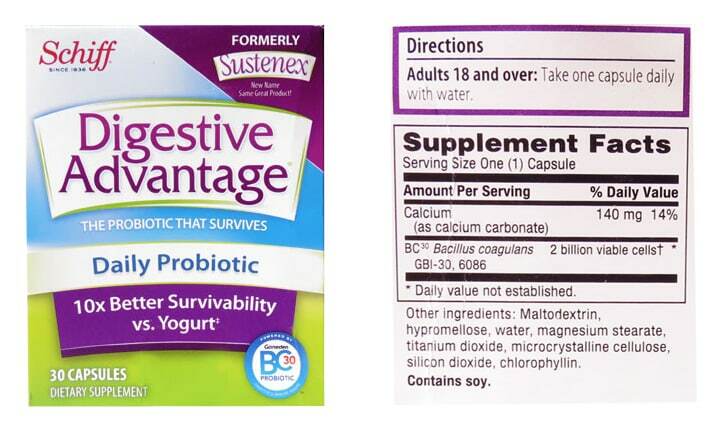 Digestive Advantage® primary ingredient BC30 (Bacillus coagulans), is a unique strain of bacteria in Digestive Advantage which has a naturally occurring protective shell surrounding each cell, so it can withstand the harsh acidity of your stomach. *Travel with this, no refrigeration needed…Took this to India, never got sick. Took 2 a day. It’s actually hard to find probiotics that don’t need to be refrigerated. At home mine are refrigerated. 1 billion is not a lot, so when you are home take a higher dose, maybe 5 billion or more per day to get really healthy digestion. I’m buying another bottle now to take with me for a month long trip to rural China. 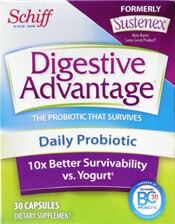 Thanks now.Sue S.
Order Digestive Advantage® Today and Save!! !